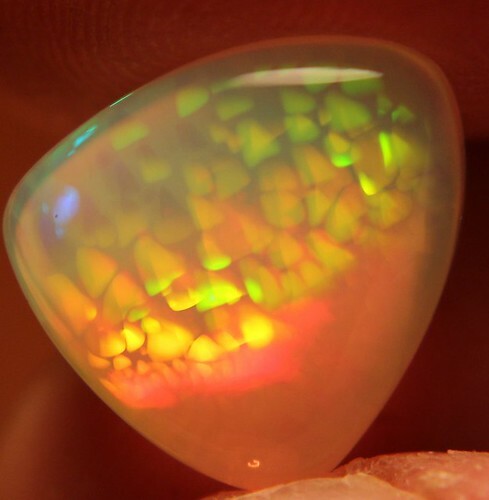 7.4ct Brilliant 5/5 Neon Catseye Fishscale Pattern Welo Opal Brilliant Neon Saturated Rare Cats Eye Effect Color Play on the front with layered Cell patterns, Fish Scale Pattern on the back. Very rare combo of patterns. 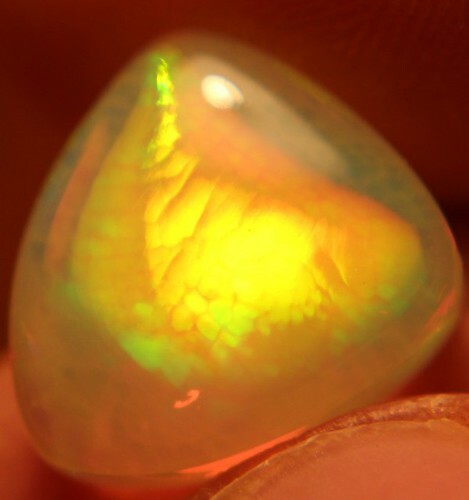 Top collection opal.